Click on a bunch of diamonds to rotate them. Group the diamonds into triangular clusters of 3 of the same to clear them from the board. 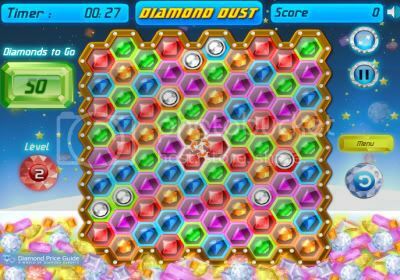 The quantity listed under 'Diamonds to Go' shows the number you have to clear to complete the level.